Some crayons may not be ready for play time, according to a new report. U.S. Public Interest Research Group, an advocacy group, said in its annual report on the school supply safety that Playskool brand crayons purchased at a Chicago Dollar Tree store tested positive for trace amounts of asbestos chemicals, which can be toxic. The group tested six kinds of crayons from different brands, purchased at stores in several states and online. According to its report, only the green Playskool crayons tested showed trace amounts of tremolite, a type of asbestos fiber. "It’s completely unnecessary for crayons to contain asbestos," Kara Cook-Schultz, U.S. PIRG education fund toxics director, told ABC News. "We know how to produce crayons without asbestos and most crayons are free of asbestos." Dollar Tree stores acknowledged the report and told ABC News in a statement, "The safety of our customers and associates is our top priority. Our company utilizes a very stringent and independent testing program to ensure our supplier products meet or exceed all safety and legal standards. We are aware of the report and have since re-verified that each of the listed products successfully passed inspection and testing." Hasbro, the parent company of Playskool, said it is looking into the reports. "Product and children's safety are top priorities for Hasbro," Julie Duffy, senior vice president of global communications for Hasbro, said in a statement to ABC News. "We are conducting a thorough investigation into these claims, including working with Leap Year, the licensee of the product." Leap Year also provided a statement to ABC News. "There is nothing more important to Leap Year Publishing than the safety of our products in the hands of children," the company said. "All of our products, including the Playskool-branded green crayon mentioned by PIRG, are thoroughly tested by independent labs to meet or exceed all CPSC and Federal Standards for Safety. We are currently re-verifying that they are safe and free of any asbestos, as well as requesting a review of PIRG’s testing methods." Box of colorful crayons are pictured in this undated stock photo. U.S. PIRG told ABC News the crayons the group purchased at the Chicago Dollar Tree, which were manufactured in China, did not carry an AP seal. The "approved product" stamp means it is certified as non-toxic by The Art and Creative Materials Institute, or ACMI, a manufacturer's association that promotes safety standards in art materials. Several other brands of crayons were found to have asbestos fibers in 2000, according to a U.S. Consumer Product Safety Commission study. CPSC said in its report at the time that it believed the risk that children could be poisoned by coloring with or chewing on tainted crayons was low. But, the commission added, there was no reason crayons should carry the risk at all. "Although CPSC staff determined that the risk is extremely low, the staff believes that as a precaution, crayons should not contain these fibers. 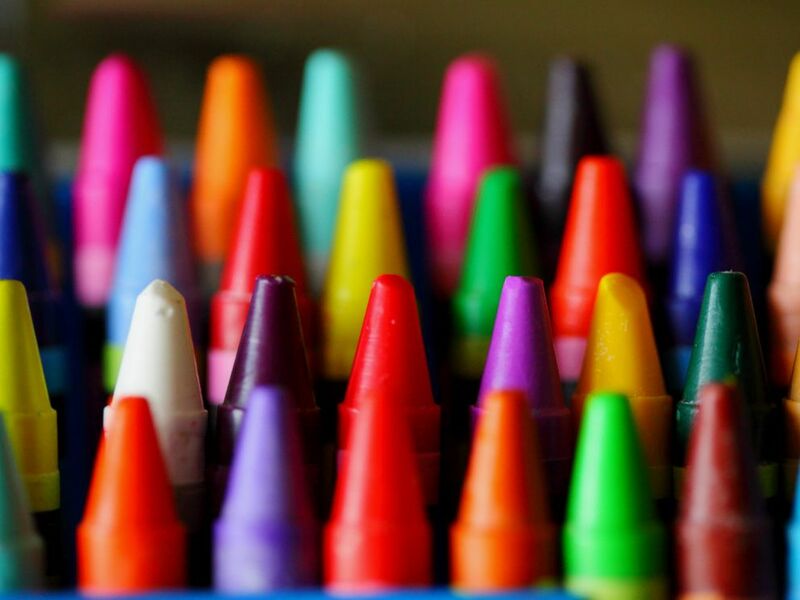 CPSC staff asked the industry to reformulate crayons using substitute ingredients," the report said. The commission, however, stopped short of regulating or banning asbestos in crayons. In 2015, four unidentified brands of crayons were found to contain asbestos in tests by the Environmental Working Group. Asbestos is not one compound, it refers to a group of minerals that can crystallize into fibers. Because those fibers naturally resist heat and chemicals, they have often been used to make insulation. But, if the fibers are released into the air and then inhaled by people, they can cause dangerous conditions in the lungs, sometimes an aggressive form of cancer called mesothelioma. Talc, which crayon manufacturers often use as a binder in the wax, can be contaminated with asbestos fibers. Many manufacturers now purify the talc to eliminate asbestos contamination, but there is no specific regulation that requires it. Other children's products have recently been found to include asbestos, including makeup kits. However, U.S. PIRG emphasized that its its tests results this year were mostly positive. Many of the school and art supply products it tested did not contain toxic chemicals, but more oversight would help. "The good news is that several years ago, the Consumer Product Safety Commission tested several products and found that many of them had these trace amounts of asbestos and we’re not finding that anymore," Cook-Schultz said. "Now it’s just a matter of getting the law in place to actually make it so that crayons cannot contain asbestos in the U.S."